Who needs a water filtration system? If you live in the United States and your water comes from a public supply or a private well, then you do. There are an amazing number of contaminants in the water supply that need to be filtered out and the city water treatment plants cannot completely remove all of the elements on the list. Some slip through the cracks. The treatment facilities do little or nothing to remove chemicals from the groundwater. Well, water is probably safe, but chemicals do sometimes seep into your water supply. Chlorine, chemicals, and gasoline additives are just a few of the chemicals that you have to look out for. If you think that you do not need a water filter, open your eyes and look around. The public utility in your area probably provides tap water for hundreds of square miles. Look at the businesses around your home. Look at all the people. Look at the pollution in the streams. Everything that goes on the ground eventually ends up in the groundwater. Local governments spray pesticides to control mosquito populations. Electricity providers spray herbicides to prevent trees and bushes from growing near their main lines. No public water filtration system can remove all of the pesticides and herbicides from the water. But, in home water filtration systems like the AquaOx water filtration system can. Every time that a customer overfills his tank and gasoline spills on the ground, it eventually ends up in the water. The storage tanks for gasoline are underground. You may have seen stations closed, while they dig up and replace their tanks. They did it because the tanks were leaking. MTBEs are gasoline additives that have been found in public water supplies around the country. It can end up in good water, too if there is a nearby storage tank. It tastes bad, smells bad, and it may cause cancer. Only an excellent water filter can remove MTBE. There are only a few that do. Your public treatment plants can do nothing about lead in your tap water. The toxic metal lines the pipes that carry the water from the facility to your home. If your home is older, it may even be in the pipes inside your home. You can have your water tested for lead, or you can only buy an in-home system that is certified to block the toxin. Once again, only a few do. Government officials have stated that no matter how good the public water treatment is, it can not guarantee the absence of Cryptosporidium, a parasite responsible for the deaths of over a hundred people in Milwaukee. It was in the drinking water. Apparently, there is no “feasible” way to test for the microbe. Only a micron filtration system can block it. Chlorine vapors trigger asthma and allergy attacks. When you breathe in chlorine, the side effects could include unexplained headaches and dizziness. A solution for this is a shower filtration system, which will filter out chlorine, preventing the build up of chloroform gas your home. No one knows for sure all the health problems that could be avoided by installing a quality in-home filtration system. With over 2000 different chemicals found floating around in our tap water and only, but a lowly couple being tested for, that pure, clear water coming from your tap may be clear.But it’s likely not all that pure and could very realistically be causing you and your family either immediate or long term health issues. The filtration system used by your local utility company will probably protect you from cholera and dysentery, but it will not keep you safe from the dangers of lead, from cancer-causing chemicals and other health problems associated with chlorine. It’s up to you to defend your health and that of your family. Most public water treatment plants sanitize the water by adding chlorine to it. Chlorine does a great job of neutralizing a lot of contaminants, but it doesn’t do a thing to lead or numerous chemicals readily found in our water. What is needed is a water filter that utilizes activated carbon and specialized micron filters to remove a multitude of contaminants, rendering the water safe for drinking and for any other use around a home. You can protect your health and that of your family if you invest in a good whole house water filter. You should do some research first because advertising claims are not always 100% honest. 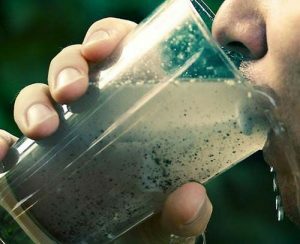 But, we have found a water filtration system that has been tested to block chlorine, VOCs, TTHMs, lead, mercury and other harmful elements that could be in your water. We mentioned it above: the AquaOx water filter. You can connect with them on the AquaOx Houzz.com profile or see some educational water filtration facts on Pinterest. This video is a review of the Infowars Propur Water Filtration System. Stainless steel upper and lower tanks with Propur’s filters and accessories. This unit will give us thousands of gallons of good, clean, drinkable water in any crises situation. For more than 10 years, Metro Vancouver recorded the construction of one of the largest water infrastructure projects in the world — from breaking ground to final commissioning. An important vote failed in the city council, and residents are worried about the state of their drinking water. Tupperware Singapore Nano Nature Water Filtration System provide you with clean, without chlorine and nutrient-rich water for you and your family. ‘Jennywakeandbake’ will save you 10% at check out from Sourcevapes. Save 10% on your very own Nuggy from Nugtools. Be sure to use code ‘jennywakeandbake’ at checkout! WAKENBAKE will save you $$ at checkout. ‘Jennywakeandbake’ will save you 10% at check out from cannasmack. Use code ‘jennywakeandbake’ to save at checkout with SmokeCartel.